Your table expands. Why shouldn’t your seating? With the new Barstow Dining Table and Barstow Extendable Bench at DutchCrafters, now it can. Be ready to host the whole family with an extension dining table that comes with up to 3 table leaves and extension bench with 3 bench leaves. Rustic meets elegant in this Amish dining table. Although the table comes standard with a rustic Plank Top, this custom cherry dining table and bench is a beautiful example of a Smooth Cherry Table Top. 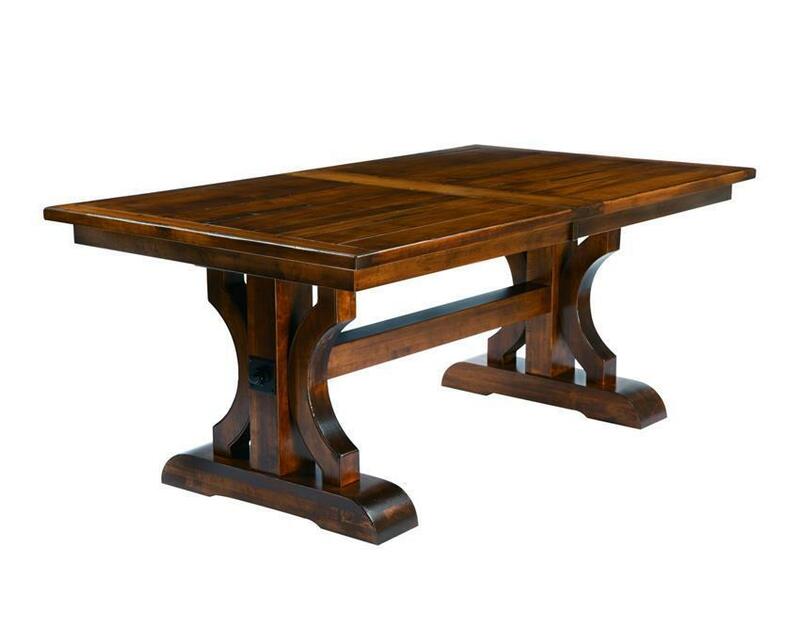 Our Barstow Trestle Table will be the center of attention in your dining room. This beautiful table is made in Indiana by Amish craftsmen. It comes standard in a thick, planked top in a true rustic furniture design. The traditional breadboard ends use plugs and planks for a truly distinctive design. 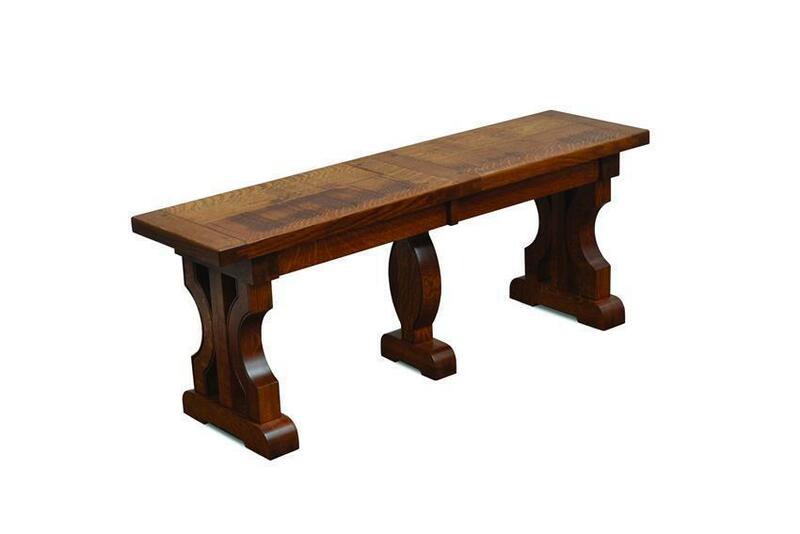 Read more about it at the product page for the Barstow Trestle Table. You won’t find solid wood bench seating with bench leaves like the Barstow Amish Dining Extend-A-Bench unless you know where to look. But at DutchCrafters, we have you covered. You may have some hesitation in selecting a bench for your dining set instead of chairs. In fact, we particularly enjoyed Kristi Linauer’s of Addicted 2 Decorating blog post exploring some questions about bench seating for dining tables. Bench seating is perfect for kids and to acccomodate large groups. And with ornate details that match the table, you sacrifice nothing in style. 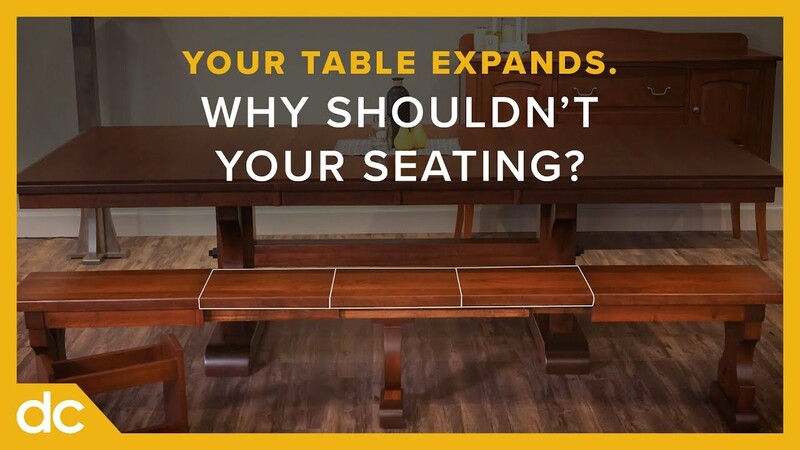 If the Barstow isn’t your style, choose from over 40 styles of extension benches! Find this table, a new addition, in our store in Sarasota, FL. Come visit!